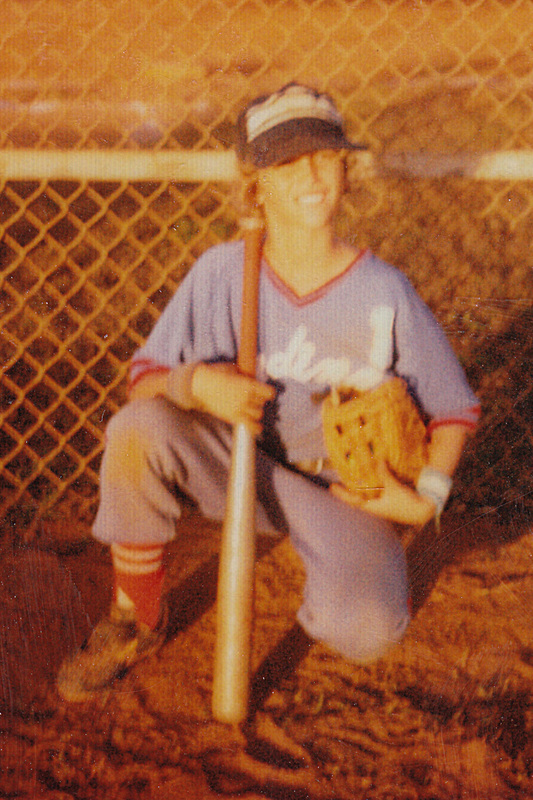 In early 1979, I signed up for Little League Baseball on Naval Communication Station (NCS) and was assigned to the Cardinals. 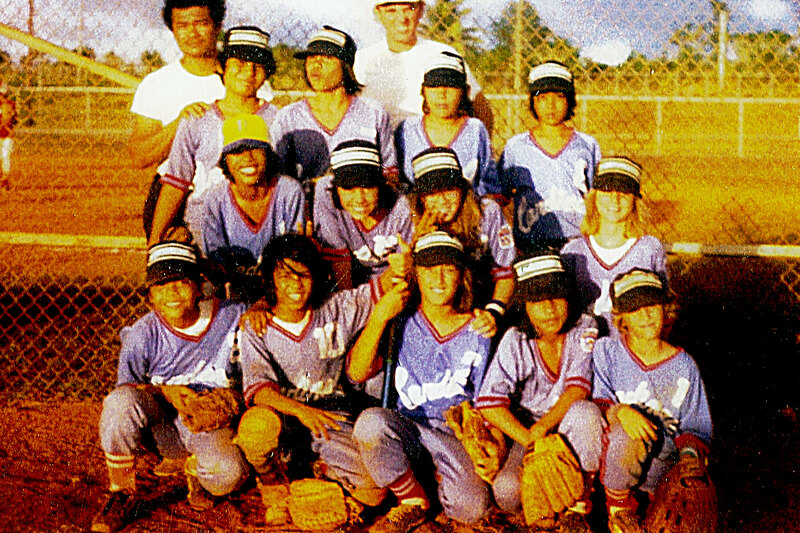 This was unique team that played in the on-base NCS league, but was mainly composed of local Guamanian players who lived in the GHURA low-income housing complex near the South Finegayan Housing Area. 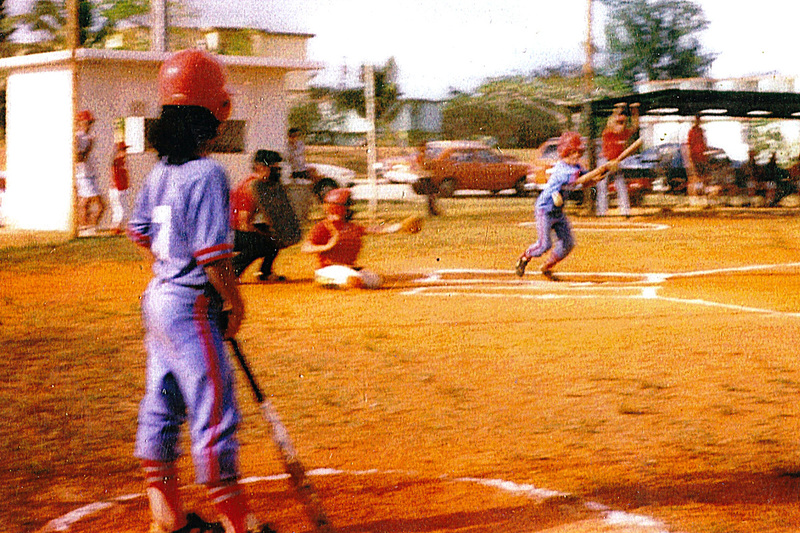 We were coached by Tony Cruz Sr. and mainly practiced off-base at the Finegayan Elementary School. 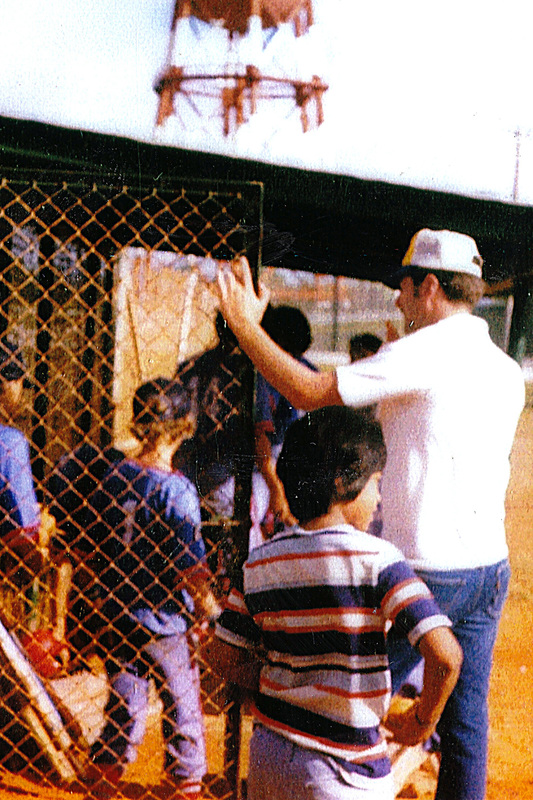 Two of his sons, Chris Cruz and Tony Cruz Jr., were my teammates. I can’t remember many of the names of my other teammates but it was a group of players. I really liked them all. I also became good friends with them and this friendship meant nobody messed with me at school (we attended off-base schools). I remember the guys (several of them drove) picking me up for practice in a pickup truck and we all piled in the back. Some of those trips were adventurous and it’s a wonder we weren’t ever in an accident. We did have at least one other American military dependent, a girl named “Shana” or “Shania” or something like that who lived near me. 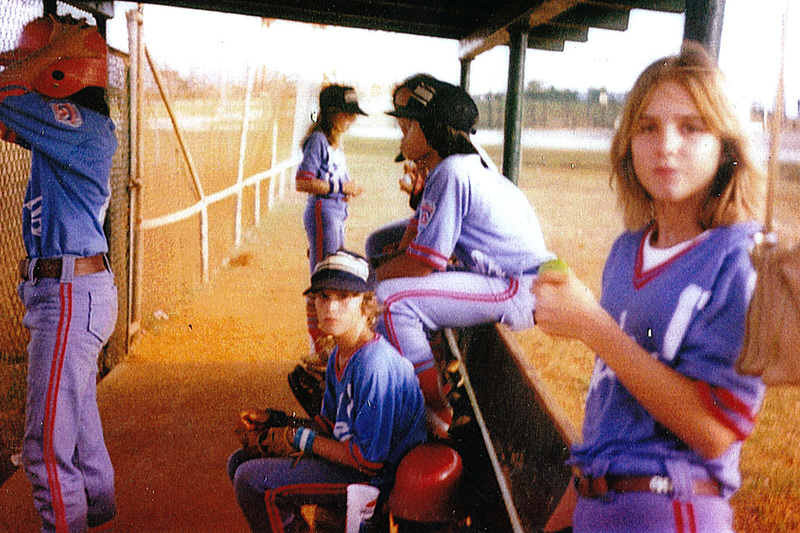 I remember telling her she combed her hair too much to be a real ball player. 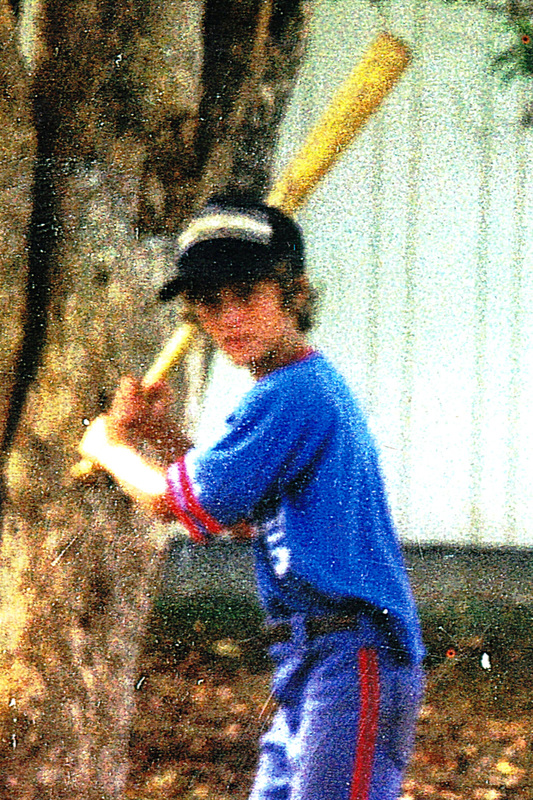 I was serious about baseball even back then! As always I took my regular position at shortstop where my defensive skills best suited our team. I don’t remember how we finished in the standings, but I think we were about average. I remember I went through a tough time late in the season. I injured my throwing elbow (a strain) one night playing catch with Jason Hjelmeland and his brother at the softball fields at NCS. It was fine when relaxed but was incredibly painful to execute the throwing motion. I went to the clinic at Anderson AFB and they wrapped it all up. We had a big game coming up and I had to play. 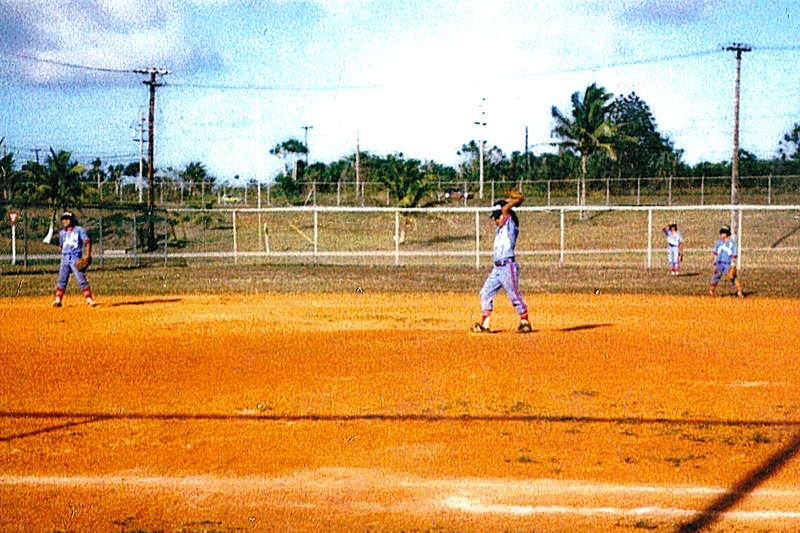 I remember batting was semi-doable but making the long throws from shortstop was pure agony. I tried to play shallow to cut down the throwing distance but it did not help much. I just hoped they did not hit it to me, because if they did I was going to make the play no matter what. I remember tears streaming down my face the whole game. 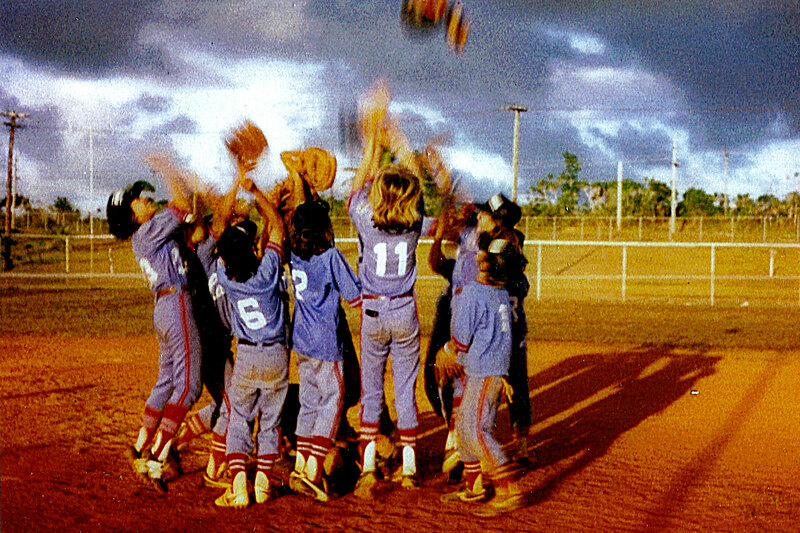 I vividly remember a play where one of their players reached second base and was concerned about me. He asked he what was going on and felt bad when I told him. That player was Joe Tedesco and even though I did not really know him then he later became a good friend. 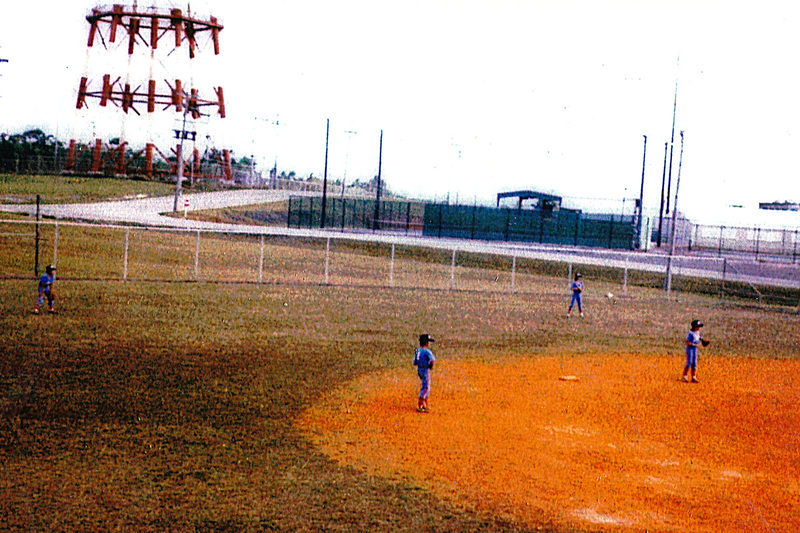 For some reason I still remember standing at second base with him that day. I was invited and tried out for the All-Star team soon after at the softball fields at NCS. Even though my coach was part of the staff I was not selected due to my elbow. I was very disappointed as once again I was denied a chance to participate in an All-Star tournament!